This entry was written by Stephen McIntyre, posted on Dec 5, 2007 at 2:45 PM, filed under News and Commentary. Bookmark the permalink. Follow any comments here with the RSS feed for this post. Both comments and trackbacks are currently closed. My view is that this is a great opportunity to put the surface station site quality ratings to good use. McKitrick’s results show a substantial artificial warming in the USA lower 48. We have a network of known high quality stations in the USA lower 48 that can be used to test his results. Since his results are gridded we can compare on a grid-cell basis. Let’s take the 17 rural stations with site quality ratings of 1 or 2 (CRN1, CRN2), compare their trends to CRU results for appropriate grid cell, and confirm or deny whether CRU shows artificial warming. I could write a parser, but has anyone already written one? Any takers to help with the statistics? Why not propose this to McKitrick and Michaels themselves? following up on 2 — if the check is done in collaboration with the original team the there will be less possibility of misinterpretation causing a faulty and maisleading test. Showing all those highly funded, well-connected, near-iconic people that their original data sets are contaminated is dangerous business. Proving to governors, presidents, prime ministers, and royalty that they’ve been had will get you no thanks at all. People can forgive you for being wrong, but they’ll never forgive you for being right. In the “National Post” piece, am I the only one not seeing all the graphs? That graph I can see. But then there’s: “the above graph is an exaggeration.” Where is it? Not to mention: “The graph at right comes from data collected in weather stations around the world. Other graphs come from weather satellites and from networks of weather balloons that monitor layers of the atmosphere.” Also missing. I checked in Safari and Firefox to make sure it wasn’t a browser issue. Did someone at the Post delete the graphs in the online version? Other than that bit of confusion, however, it’s a fascinating article. This is the start of a storm that’s gonna be big, I think. I want to wait before doing more analysis because we only have a handful (17) of CRN1,2 rated stations thus far. I think we need a larger sample and better distribution. The reason that I originally posted the CRN ratings data was because I had presented census information at Pielke’s conference in August 07 and I felt that I had to backup the census and quality ratings with raw data. It was never my intention to start a gridded analysis that early in the game, but your opentemp program appeared just a couple of days later and changed all that. Of course I can’t stop anyone from going ahead with the published data at hand, but I think science would be better served with a more complete survey data package. The http://www.surfacestations.org project continues to gather new stations and I hope that readers will help in the midwest and southeast USA where we have fewer surveys completed. John V., our results show that gridded data are not independent of the socioeconomic conditions in the countries in which they are sampled. Our counterfactual assumes the US has ideal measurement conditions and we expect its biases to be small compared to other regions. so I do not see how a comparison of CRN1/2 to CRU in the US will test our results–you should be looking at all countries, if I have understood your point. Anyway, follow your nose. The more people working on this the better. Chris, the printed version had the graph at the top. For the online version they moved the graph to the bottom but evidently didn’t change all the “aboves” to “belows”. Dicentra — If I wanted praise from Caesar I’d have chosen a different line of work long ago. Anyway, I expect this will elicit nothing but a bemused yawn. Their current course of action was never based on data&science to begin with, so questioning either one hardly makes a difference to them. If the thread develops I am out of town tomorrow and likely won’t have access to the web, so apologies for not replying. Thanks for the visit Ross. Great work as usual. I was wondering if you looked at the actual station by station adjustments for urbanization and for TOBS (time of day), and if so, which won contributed more of the bias. One other question…where is the weather balloon data available, and why is it not more widely referenced than surface temperature date? I have only very quickly read the In-Press version of your paper, so correct me if I’m wrong. Figure 4 appears to show a warming bias of between 0.0 and 0.2 degC/decade throughout much of the USA48, but it’s difficult to differentiate the shades of green near 0. I will need to look at the data. Your data archive does not seem to contain the gridded results. Is there any chance of making those available? …you should be looking at all countries, if I have understood your point. It might be necessary to cherry-pick countries with surveyed stations. Anthony Watts, since France originated the site quality ratings do you know if the French stations have been surveyed and rated? RE15 John V Yes I believe they have, but that is only conjecture based on commentary I’ve read. The Meteo-France webpage may contain such datasets. I apologize for appearing naive. I have found that there usually is a stated reason for ignoring x or y in favor of a or b. It might be an entirely silly reason (Wegman was not peer reviewed) or some other form or fashion that may not be to my liking or yours. I was just interested in this particular case, what the stated reason in is. Good work Ross! Maybe this will be incentive for NOAA or NASA to give details about how they calculate the worldly data. JohnV.. I’m not ignoring your request to move our convo here. It’s the right place. There’s no rush now that there’s a dedicated thread (conversation won’t get drowned in the usual Unthreaded noise). I’ve plotted Central England Temperatures over the last century. Suprisingly (or not) overall absolute minimum observed temperatures during January (1900-2000) show a very slight downward trend and average overnight minima show a similar slight reduction. Conversely, switching to Armagh theres a clear increase in maximum July tempertures and total sunshine. The sunshine to max temperature appear (by eye) at least to follow one another. I know similar work in Australia indicates something similar. I’m surprised this kind of analysis, perhaps on a more rigorous basis, hasn’t been done before. I expected to see a clear OCO warming in the January temperature plots but at this point it appears cloudiness is a more significant factor in driving temperature. Excellent copy. I wish I could write as clearly and as powerfully. I will be very interested in the quality, information content and pointedness of the responses. I have to go back to crunching survey data. The problem with the IPCC (David Parker) UHI study is his claim that he used calm vs windy days. His personal communication with Steve Mc in the Urban Myth thread said he used the third least windy days vs the third most windy days. There is a big difference between calm and third least windy when you consider that it only takes a breeze of 3 mph to mix the boundary layers. Can you please help with a little bit of clarification? Global Hydrology and Climate Center (GHCC) (2005) Web site http://wwwghcc.msfc.nasa.gov/temperature/. Global temperature anomalies. Accessed June 2005. Data are now archived at http://www.nsstc.uah.edu/data/msu/t2lt/. Given the correction was applied to the MSU2lt data after the “date accessed” which data set was really used? Is the reference incorrect? Same here can’t see the balloon or satellite graphs. I always led to believe that the satellite and balloon data were in good agreement with the terrestrial measurements. I am with the bemused yawn school. While a lot of sensible people say we should do with energy that which would be a good idea anyway, for example conservation, etc, for a large majority of the politicians, they will continue to do what they think they should do anyway. Tax, control, and shift huge amounts of money from the US, in particular to developing countries. What Ross is now stating is what most of us have known for some time in that the UHI effect has not yet been quantified accurately enough to be sure that it is not one of the reasons for any claimed temperature rise. The reality is that only a small error will drastically change the so called warming claimed as AGW. Together with many other questionable conclusions we are still faced with an unknown. Is AGW real and if so to what extent? My own opinion is that we are where we were at the point of the inception of the IPCC, which was set up to investigate the extent of anthropogenic global warming. Had the IPCC been set up to investigate whether in fact there was warming as it’s first and foremost task, I suggest we would be in a very different position now. Govt after govt in the west has taken power using “state of fear” tactics on “Global Warming.” To expect them to question it is complete folly. Look at Australia, for a case in point. Couple of ways to think about it. “Where, following an assessment of available scientific information, there are reasonable grounds for concern for the possibility of adverse effects but scientific uncertainty persists, provisional risk management measures based on a broad cost/benefit analysis whereby priority will be given to human health and the environment, necessary to ensure the chosen high level of protection in the Community and proportionate to this level of protection, may be adopted, pending further scientific information for a more comprehensive risk assessment, without having to wait until the reality and seriousness of those adverse effects become fully apparent”. 1. Scientific uncertainty should not automatically preclude regulation of activities that pose a potential risk of significant harm. 2. Regulatory controls should incorporate a margin of safety; activities should be limited below the level at which no adverse effect has been observed or predicted. 3. Activities that present an uncertain potential for significant harm should be subject to best technology available requirements to minimize the risk of harm unless the proponent of the activity shows that they present no appreciable risk of harm. 4. Activities that present an uncertain potential for significant harm should be prohibited unless the proponent of the activity shows that it presents no appreciable risk of harm. …analyses may use a cost-benefit analysis that factors in both the opportunity cost of not acting, and the option value of waiting for further information before acting. One of the difficulties… in modern policy-making is that there is often an irreducible conflict between different interests, so that the debate necessarily involves politics. is site specific and boundary layer specific. He assumed that “windy” in one place was “windy” in another place. vertical mixing. Don’t bring parker into this discussion. Go read all the reports at the Bubble project. They are very interesting and may give you some ideas. tying policy to climate would put one in lead. Neither of which was politically stable. Basically, bad handling qualities in aircraft speak. Ross’ suggestion is giving me pause. Proportional navigation… Works for missiles. It seems to me that there are issues with all types of temperature measurements – hopefully the satellite record can sort it out sooner rather than later. But given the extent of deglaciation currently taking place around the globe – it would appear to be logical to assume that the global temperature is rising significantly. This becomes more apparent when one considers the historical record and archaeological evidence around Europe’s glaciers. This indicates that much of the Alps were “green” during the time of Hannibal and the Romans and have since grown and then retreated again currently. Note, the lack of glaciation during Roman times explains why Hannibal’s trek across the Alps was literally, a “walk in the park”. But Ross, I understand that recent research has found 7,000 year old trees being revealed by the retreated glaciers in western Canada. That would seem pretty good evidence that we might be considerably warmer than any time over the last 7,000 years. Any thoughts on that? I would be most interested in your response. Fortunately I have a clone in the observers net watching the chat and the bubbles come up every time someone notices a spike at 1AM. While the boundary layers vary in size, the usual windspeed is 3 mph, although I am sure that will vary depending on the thickness of the layers. Nevertheless, our points are still the same, calm and third least windy are two different things and third least windy are enough to mix the layers, so he was really comparing windy vs windy. With respect to Parker on this thread, Parker is the most influencial UHI study used by the IPCC. The subject seems to be quite relvant to this thread. Kristin. here is a good paper. see section 4.4 on turbulant heat excchange. in the village 4km away it cools. That’s because 3m/second in an urban enviroment isnt strong enough to promote mixing. village cools at 2m/s city doesnt. So parker is wrong. “windy” is site specific. this is from the bubble project. Has anyone looked at the latest RSS data? Govt after govt in the west has taken power using state of fear tactics on Global Warming. To expect them to question it is complete folly. Look at Australia, for a case in point. The fear tactics was not based on ‘Global Warming’ but on Industrial Relations Laws the battle was waged on that issue by both sides. People were afraid of losing workplace benefits the Liberals tried to engender fear of rampant resurgent unionism. Labour and unionism won. Forget about it ever being shifted to what I have seen more correctly referred to as “Never to be developed countries”. Instead, it will go from taxpayers of the developed countries right into the bank accounts of the various ‘players’ who are behind all these scares. Global cooling, Ozone, global warming. What’s next, so I can get on the gravy train? Yes, true. But the point, I think, and this is why Ross is publishing easily digestible overviews in periodicals, is to get the people to question it. He’s not alone. I’m hoping he can get these two articles, which complement eachother perfectly, more widely published. Say, in the Washington Post, for instance. What was Rudd’s first significant action on taking power? Ratification of Kyoto. Was there a single Australian who doubted this would happen? Neophyte question: The AGW folks think warming is manmade. Could not the extra “heat” from UHI be a source of that? IOW, instead of (or in addition to) CO2, the real cause of warming is this extra “heat” from UHIs? I think the reason this has always baffled me is, by way of comparison, the Mauna Loa CO2 record. The idea there is that we want to measure well-mixed air and we see background CO2 going up. If we apply the same logic to CO2 measurements as we do with UHI and temp records, would we not want to somehow implement a “Factory Emison Adjustment” and so on? Is not the existence of UHIs supportive of AGW? Why should this be removed? Is it not a link to the anthropogenic cause of warming? I don’t mean this sarcastically at all, I’m curious why this argument has, to my knowledge, not been made. Perhaps I am over-estimating the significance of the M&M Michaels and McKitrick paper. It seems that, it true, it would have a very large impact on climate science. Given the large amount of conversation around Loehle2007 (temperature reconstruction without tree-rings showing warm MWP), I am surprised by the lack of conversation around the M&M Michaels and McKitrick paper paper which puts into question more than half of the warming in the last 3 decades. Am I missing something? Why is there not more conversation? BTW, I’m staying away from the second op-ed (policy based on tropospheric temperatures) because it’s in the forbidden political zone. Steve: Please do not call the Michaels and McKitrick paper “M&M” since the term M&M has been widely used for the McIntyre and McKitrick papers and some unscrupulous commentators have attempted to use criticisms of one paper against the other. It takes me time to edit these. I like Ross’s tax idea. it would put a financial incentive to getting better GCM forecast accuracy. I think we should come up with a “buzzword bingo” matrix for the upcoming RealClimate response, if there is one, to this paper. Will do. I got a little lazy with the typing there. How about MMJGR07 to save some time? Ross McKitrick makes some excellent points, and I believe he has identified the missing “feedback” that accounts for high sensitivity of greenhouse gases. The missing feedback is the temperature data used to calibrate GCMs. If the surface station data is faulty–yet still used for parameterisation, the feedback effects of this data can be immense! >> Could not the extra “heat” from UHI be a source of that? The UHI does indeed warm a large mass of air, probably a greater mass than the total C02. However, the mass, when compared to the total mass of the atmosphere, and then to the oceans, is too insignificant to actually warm anything. Because of the mass difference, warm air from a city is rapidly cooled down to the atmospheric and oceanic temp, rather than the other way around. 46, didn’t Gavin already say that the surface temperatures don’t matter because there’s more heat in the oceans? Funny how what he and Hansen have been working on all these years turns out to not matter. That’s getting awfully close to thermo again. What was Rudds first significant action on taking power? Ratification of Kyoto. Was there a single Australian who doubted this would happen? It’s easy for countries with left-wing governments to ratify something the US, the great Bugaboo, adamantly opposes. The US Senate vote against? 95-0. (If they’d have voted on it in the House, it would have been 436-2, Kucinich and Barbara Lee voting in favor. That’s a joke for US insiders) Let’s see what happens when they start talking implementation. They can pass all the laws they want. Implementation has always been the issue. Are governments going to penalize themselves while others bask in the warmth (pun intended) of completely ignoring the recommendations for reductions? As long as the US stands fast, I don’t believe much meaningful (either damaging or beneficial) will happen. Which is good, since what is needed is for people on both sides to stand back and let the science update and correct (or verify) itself. I find it very difficult to believe that inaction now will penalize future generations. Conversely, I find it quite possible that the dramatic actions recommended by some could have adverse consequences or waste a wholelotta money. I like Rosss tax idea. it would put a financial incentive to getting better GCM forecast accuracy. Yup. The beauty of it. You want the money? Earn it. Thats getting awfully close to thermo again. Yeah, I’d call that “thermo p0rn”. The National Post article was hard hitting on the “adjustments” to the data. I wonder if Ross has taken forecasts of changes in economic activity and use that to predict what the NCDC, NASA, and CRU global temperatures will be in the next 5-10 years? Concerning the T3 tax…what if some climatic process other than greenhouse gases causes the tropical troposphere to warm? We could be taxed for a process that we don’t have control over. Second, climate models predict that the greatest warming due to greenhouse gases will occur over the topics at about 10 km above the surface. What if those models are not handing a number of climatic processes correctly, so the models are putting the most warming in the wrong place? If this is the case, then basing the tax on tropospheric tropical temperatures would be just as wrong as what is being considered in Bali. I agree with Ross, that we should wait at least 5 years to see how the latest solar minimum affects our climate. of the degree/cosine screwup) and yet his conclusions are exactly the same. Tells you something. There’s that circular logic, again. The consensus says there’s a consensus, so there’s a consensus. That the analysis was robust to perturbations to the data? it [sic] true, it would have a very large impact on climate science. The lack of conversation can be read three ways. Ignored becuase important. Ingored because unimportant. go to the truth of the matter. I can turn the lack of attention into any one of the three options above. record, then you should see no difference between grids that have different Populations, GDP, etc etc. Temp should not be correlated with these things.but it is! a puzzlement? no. 1. UHI is real. We have years of evidence showing this. 3. Our study shows that #2 is not true. 4. UHI does not contaminated the record. So, UHI is real, but the record is not contaminated by it. How is this explained? this could not be the case because stations were sited according to strict siting rules. 2. Comparing stations in Urban areas to rural areas shows no difference in trend. 3. Contaminated rural sites might explain this, but they are all properly sited. 4. Urban sites, therefore, must be located in urban cool parks. of concrete/asphalt, wind shelter, lack of evapotranspiration. What do I mean. right now we use Population and nightlights to specify Rural/periurban/urban. or even a squall I’ll post it. #51 Larry: Yes, that is what they say: oceans. And do oceans not absorb solar radiation, and redistribute it over long time lags? Spatially, are deep convection currents hidden from view? And is this not precisely where the GCMs are failing? At predicting: Arctic Ocean warming, Arctic Oscillation, major ocean deep cooling, La Nina (this on top of non-warming troposphere)? Read W u n s c h.
Something’s going wrong. Divergence. Why does Schmidt refer to ocean “deep cooling” with acronym “DC”? (Am I wrong?) Is he avoiding mention of the possibility that the models are failing to predict solar-driven deep ocean cooling? RE: #56 – It tells me that his error was an error in presentation, not an error in fundamental underlying analytics. What does it tell you? Ask Steves or anyone else: how are ocean temperature data collected? I don’t have a clue. How about possible biases? Disregard, 62. I’ll look the questions up myself. The tax idea. JohnV I think we can recast the idea into engineering terms. The output of C02 drives temperature. you want to control the output of C02 to control the temp. 1. Which temperature do you feedback: 1) air temp. 2.) SST. 3. Troposphere. 2. How frequently do you adjust the controls: 1. daily, monthly, yearly, decade? climate models rise to the top. I disagree that there should be no correlation between temperature and socio-economic indicators if the indicators have no effect on the temperature. There can be correlations to lots of different things — but (as Gunnar loves to say) correlation does not imply causality. I understand that MMJGR07 does statistical tests to test for causality. I still need to read and understand those better. I disagree that there should be no correlation between temperature and socio-economic indicators if the indicators have no effect on the temperature. Why don’t you read that again? It’s not USHCN or GISS though, just tertiary “C” network COOP. A possible measure of the A effect is the road network density. Even without specific traffic information there exist ample data in GIS form of road networks including the ranking of road segments, ie. county roads, state roads, federal highways, etc. That would be an interesting dataset to compare. Before I go any further I should read the MMJGR07 paper itself to confirm that wasn’t already looked at. Ross’ idea is brilliant because it accepts the sceintific and quasi-market premises of the warmers and responds with the simplest, most effective mechanism to monitor CO2 and price it. Perhaps some young earnest warmers, both enviros and on the finance side, will take up Ross’ plan to their superiors. Of course they will be in for a surprise when the idea is quashed…Follow the Money! True believers can’t comprehend a dare. When I mean “earnest warmers” I mean those, for example, who have near blind faith without any evidence whatsoever that Al Gore no longer support as a “solution” carbon trades markets. You can see these suckers on various enviro web forums. Correlations between measured temperatures and socio-economic indicators do not imply that the socio-economic indicators affect measured temperatures. The correlation is necessary but not sufficient. Again, I am aware that MMJGR07 has tests for spurious correlations that I need to understand. OTOH if UHI has been removed you wouldn’t expect any correlation, so why? Like I said, population and nightlights is not convincing, but I have nothing better at present. So I’m sitting on the fence. All other things being equal (which they never are, I know) every urban hot-spot within a 5×5 grid is going to raise the average temperature anomaly. Throw in enough of them and you will see a measurable difference. Now step back and forget the emphasis on the thermal imprint of the city and contemplate how the land use changes will impact the larger area. If you have significant agriculture use around the major city, there will be an effect to the regional climate. Does it warm the farmland? I don’t know that there is a clear model for that, but Roger Pielke Sr certainly believes there is a significant effect. If there is a correlated temperature increase with certain agricultural land uses then add all that acreage to the already increased temperature due to the UHI. Forget urbanity, think of land use. Doesn’t really deserve and answer, but note that Ross replied and corrected the error in 2004. The size of a crucial coefficient was changed, but not its sign so the broad conclusions stood anyway. Contrast his open behaviour in acknowledging and correcting an error with the behaviour of some others. Doesn’t really deserve an answer, but note that Ross replied and corrected the error in 2004. The size of a crucial coefficient was changed, but not its sign so the broad conclusions stood anyway. Contrast his open behaviour in acknowledging and correcting an error with the behaviour of some others. What is the status of the latest McKitrick and Michaels paper? Is it appearing in the December 2007 issue of the journal? Has it already been peer reviewed? In response to #1, my take on the McKitrick and Micheals methodology is that it provides an excellent example of how to test the assumptions inherent in the surface stations surveys and resulting CRN classification. James Hansen saying USHCN is a quality network doesn’t make it so. Kristen Byrnes saying CRN12R is a quality network doesn’t make it so. Demonstrating that a network actually meets the stated quality standards for site placement provides some confidence that it is a quality network. Demonstrating that the resulting temperature output is free of extraneous effects is essential to supporting the claim of a quality network. MMJGR07 offer a methodology to test whether the output is free of those extraneous effects. Perhaps there are factors other than GDP that imply a more physical relationship to the observed correlated effects but the simple truth is GDP = energy consumption, which in turn implies higher population, higher productivity, and/or higher affluence. There is an underlying causal relationship that is plausible, and more research into this would indeed verify if that relationship is likely. It tells me something, bcl, that it surprises you that recalculating after correcting a relatively insignificant error leads to the same result. BCL. Good to see you here. I’ll grease the door knob so it doesnt hurt you as you leave. Go ask Dr. Mann if he can get the latitudes and longitudes of his 2007 paper correct? they’re flogging the same peice of crap that was discredited in 2004, just a bigger and better version. would be determined and I’ll await Ross’ comments. just a bigger and crappier version. John V. The basic idea behind the causality test in the paper is that even if temperatures did affect subsequent movements in socioeconomic variables, higher temperatures would not affect prior movements in such variables. To critique their statistical evidence you would need to argue that temperature movements somehow “teleconnected” back to affect variables in earlier time periods. One logical possibility the authors discuss is that people accurately foresaw what was going to happen to temperatures in later decades and took economic and social decisions in advance of their accurate knowledge of subsequent events. The straightforward interpretation that the temperature series have not been adequately cleansed of anthropogenic surface processes is much more plausible. RE: #53 – adverse impacts – I find the whole notion of CO2 sequestration frightening. Certain “geo engineering” ideas are beyond frightening, they are insane and terrifying. I am a real environmentalist. I was raised up this way by old school enviro parents. I would definitely chain myself to a tree (figuratively speaking) to protest some of these things if they ever start to come into serious fruition. Other true environmentalists will recognize exactly what I am referring to. GHG-phobic fanatics are now a well defined dangerous splinter group versus classical John Muir / Teddy Roosevelt style environmentalism. re: #74 and others preceding. Causality is necessary. In the absence of basic governing equations and/or mathematical modeling and at least scale analysis all correlation is nothingness. And bcl how about these pages and pages of errors. RE: #76 – I’ve written this many times before, but since we always have noobs, I’ll write it again. Typical US rural area, 1850 – no electrical grid. Few roads beyond wagon ruts, which may be impassable in wet weather and winter. Small “homestead” style farms, literally carved out of the wilderness. Single fireplace or stove for heating of portion of main dwelling. Lamp or torch light. Essentially, subsistence, constantly fighting against succession / overgrowth. Overall very low population density. Typical US “rural” area, 2007 – suburban class electrical grid. Almost all public roads paved, many are designed for high speed. Large corporate farms spanning hundreds to thousands of acres, with high mechanization and hired labor. Farmers live in large, modern, suburban style dwellings. Hired labor live in significantly urbanized hamlet or larger scale developments, in some cases including true urban building styles such as apartment houses, for cost reasons. Good living area and task lighting, provided outdoors by arc / halogen style lights similar to ones for roads and parking areas. 24 X 5 X 365 operations, and much small scale industrial style facility development especially in areas with dairy, feed lotting and pre processing of food. Intensive agriculture, with nearly entire land surface human controlled / managed. Extensive use of herbicides to denude areas between fields, along roads, around equipment, etc. Overall population density at an “exurban” level. Now, which of the two scenarios would you expect to incur a positive temperature bias? Frankly, this is how science is done properly by real (i.e. fallible) people. Far better than I’ve ever seen from the Hockey Team, which often refuses to even acknowledge much more serious mistakes. I hear somebody whistling past the graveyard. Your comment in #90 is exactly the point I was trying to make in #76. The UHI imprint may end at the city limits but there is likely a significant imprint well into the rural areas for exactly the causes you’ve identified. I would expect it be measurable, and perhaps MMJGR07 have even pinpointed where the most significant anthropogenic rural impacts are. I just have not read enough of Dr. Pielke’s work to be able to state with your degree of confidence that we know and can quantify those effects. RE: #94 – I eagerly await further papers from Pielke Sr et al. He is right on. RE 86. BCL. you may be right! go get the data and get the code and check it out for yourself. what would you conclude? If Ross didnt share his code, what would you conclude? The beauty of OpenScience is that you BCL acan actually go check for yourself. Mr Mosher. You continue to brighten my days. LOL. RE 69… Cool roofs! Actually I love the idea of cool green roofs, much better than painting them white. Just have to be careful about people planting herbs… but hey, it’s medicinal. p.s. Does “definitely not definitive” make sense? re 97. That’s too kind, but you’re welcome. Two great articles. Thank you Ross M.
RE 90 & 94. We’ve all seen the urban sprawl, so Prima facia R&P argument passes the smell test. I’m just struggling with a more well specified physical model here. hat onthat I think. That ties directly to the physics of UHI. that would make me way happier. I would suggest a change to the proposed tax. Make it a user fee to fund climate science and mitigation strategies. If you let the pols get it, they will want to keep it at the same level, forever, amybe increasing it after it has fulfilled its original purpose. Talk of privatizing the New Jersey Turnpike began in 2005 when Acting Governor Richard Codey proposed either selling or leasing rights to operate the state’s three toll roads to private investors in order to fill in the state’s $4 billion budget deficit. In 2006, State Senator Raymond Lesniak (D-Union County) introduced legislation sell a 49 percent stake of the New Jersey Turnpike Authority to investors. Lesniak estimated the $6 billion in proceeds would be used to prop up the state’s underfunded pension system. Some analysts believe a full privatization of the Turnpike Authority would raise as much as $30 billion for the state. However, Governor Jon Corzine is opposed to privatization of the turnpike. As a user fee, as the temperature goes up, more money is available for climate research and mitigation. If it works ( or AGW disproven) the need for the user fee disappears; if it worsens or is proven, it goes up. Clayton B, re #100, read more carefully, Mosh is referring to Peterson’s assumption, not his own. RE clayton.. What dover beach said. I’m trying to explicate the peterson/parker argument. It is an established uncontested fact of climate science that urban centers suffer from UHI. is not corrupted by UHI. PROBLEM: why not? Their excuse: cool parks. Challenge: find a cool park! The UHI puzzle remains a puzzle. RE: #99 – classic vintage photo – Roosevelt and Muir sipping single malt (Muir was a member of the “ald keepers o’ proper whiskey standards” secret society) up on Glacier Point. RE: #107 – Take Central Park. Surrounded on all sides by multistory urban densepack. Much of the highest density stuff is less than 100 years old. Then layer on top of it the upward exponential anthropogenic flux from that densepack. 1950 – radiators, a few light bulbs, a few radios, and even rarer examples of other sources, a few cars. Today – climate control, cooling towers on rooftops, lighting (especially track and recessed, too cool, er, actually, quite hot!) out the wazoo, big screen TVs, ‘puters, hair dryers, cheap Chinese window ACs, espresso machines, excercise equipment, vibrators, robot puppies, “Thalman special” air ionizers, blah, blah, blah. Plus a bazillion hot engine blocks stuck in traffic. Plus lighted plastic signage, and on, and on. From Outlook, vol. 109, pp. 27-28, January 16, 1915. The first night we camped in a grove of giant sequoias. It was clear weather, and we lay in the open, the enormous cinnamon-colored trunks rising about us like the columns of a vaster and more beautiful cathedral than was ever conceived by any human architect. One incident surprised me not a little. Some thrushes – I think they were Western hermit-thrushes – were singing beautifully in the solemn evening stillness. I asked some question concerning them of John Muir, and to my surprise found that he had not been listening to them and knew nothing about them. Once or twice I had been off with John Burroughs, and had found that, although he was so much older than I was, his ear and his eye were infinitely better as regards the sights and sounds of wild life, or at least of the smaller wild life, and I was accustomed unhesitatingly to refer to him regarding any bird note that puzzled me. But John Muir, I found, was not interested in the small things of nature unless they were unusually conspicuous. Mountains, cliffs, trees, appealed to him tremendously, but birds did not unless they possessed some very peculiar and interesting as well as conspicuous traits, as in the case of the water ouzel. In the same way, he knew nothing of the wood mice; but the more conspicuous beasts, such as bear and deer, for example, he could tell much about. Burney – once as a kid. Need to get back there some day. That’s an awful lot of kw-hrs/sq. mile or Megajoules/m^2. Various folks, I wouldn’t worry about bcl too much, he’s just trolling around with his confrontational blathering about subjects he knows nothing of, being fired off from his socialistic world-view of their impact and import. Harmless and ineffective, but at times entertaining. I’m sure he’s a great guy personally. It’s all about the AGHG (and the AGHGRP, Resultant Pollution, from the same source as AGHG) and LUC. 1. Think of the effects of taking gigaacres of forest or jungle or whatever, where the sunlight hits the top of the vegetation and doesn’t get to the ground. Clear paths through that of dirt or gravel. More insolation absorbed. Pave the road with concrete or asphalt. Even more. That happen often? 2. Remove all the vegetation over a large area (how large? Whatever) Cover it with concrete and asphalt. Put metal cars all over it. You get the drift. Parking lots. 4. Cover a mega-acre of land with short grass, asphalt, concrete, metal cars, buildings, (shingle or metal surface absorbers on roofs and windblocks and heat flow channelers). Cities. 5. Cover huge distances of open land with freeways and bridges and railroad tracks/beds. Next chance you get, drive from (say) Miami, FL to Chicago, IL Take the back way (non-Interstate) and notice the extent of the urbanization. Take the Interstate back and notice the urbanization spots and the non-Interstate road networks feeding off of it. AGHG: A variety of substances with different CO2 Equivalent effect either higher or lower than CO2, with poorly understood (and seemingly poorly modeled) interactions between themselves in various parts of the atmosphere. Add to this the interactions with clouds, masses of waters, wind and amount of sunlight that reaches them. (AKA, consider the non-ghg components of the system.) A dog’s breakfast, indeed. AGHGRP: What effects do these have in the air vs on ice vs into the oceans, also taking into account the relationship between it and the AGHG in the system. An interesting thing to ponder. Again, AGHG, AGHGRP and LUC explain any actual warming that is happening, and it seems obvious the LUC aspect is a huge piece of it, and the AGHGRP affects the AGHG part. Even if AGHG is the major portion of it (postulating that the AGHGRPs cancel each other out), it’s hardly just CO2, no matter how much of the AGHG CO2 actually is (by itself, modeled, 50% of the AGHG). And as I’ve explained before, the +.7 “GMTADC” (Global Mean Temperature Anomaly Trend Degrees Centigrade) isn’t proof it actually is warming, and there’s also no proof that if it is warming, it’s actually a +.7 GMTADC and not more or less. I would think everyone involved, if they are actually concerned about the science, would be interested in ascertaining if: a) the GMTADC is a reliable indication of the increase/decrease in the Earth’s energy levels in the first place and b) if ‘a’, then is the +.7 that we have the correct value, and not more or less and c) if ‘b’, what are the AGHG:AGHGRP:LUC ratios. Further perplexing is why anyone would trust the expert opinion of an expert modeller but not trust the expert opinion of an expert statistician or the expert opinion of an expert solar scientist or the expert opinion of an expert economist. If they’re all involved in aspects of “climate science” then why is only the modeller to be listened to? Especially if the modeller refused to cooperate in replicating their results and withheld any information allowing the results to be replicated. If your kung-fu is strong, you want your hypothesis or results to be independently verified by opponents to your viewpoint. As I said earlier in ?p=2468#comment-172892 : What better way to prove your ideas robust and honest than to have somebody other than yourself, with the opposite viewpoint, attempt to rip it to shreads? I mean, if you have confidence in your ideas and all. bcl is a web traffic parasite. eerily bot-like. Is it true that tropical tropospheric temperatures are the most sensitive indicator of global warming? I would think from my general overview that Arctic surface temperatures are a better metric. If that is the case, why not tie the tax proposal to that measurement? Africa and South America contain many regions with missing data, though the map overstates this, because at the equator, the raster squares are smaller than the grid cells they represent, due to the global projection used. 1. Looks as though the grid is 72 squares wide, so if we have 5 degree lat by 5 degree lon grid cells, and 72 * 5 = 360 degrees. Looks proportional by degrees to me; 360 degrees up north, 360 at equator, 360 in the south. 2. The projection is not equal area but is proportional with respect to comparison of longitudes. That is too say that if 37 out of 42 possible land grids at 40N have measurements (88%) and 4 out of 17 possible land grids at the equator have measurements (24%) then a comparison of 88% coverage at 40N to 24% coverage at the equator is a fair comparison – I believe. 3. Eyeballing the map at 40N and the equator gives one the perception that land at 40N is about 80-90% measured and that land at the equator is about 20-30% measured. I do not believe the map overstates the measurement void in this respect. 4. Now if it only takes one measurement location to establish a measurement for a 5 degree by 5 degree grid, regardless of whether it is at the equator or extreme north or south, then the map UNDERSTATES the amount of missing data at the equator, as one measurement covers more area at the equator than it does away from the equator. Just back from a conference in Toronto on Canadian climate policy, lots of government, academics and industry people. A speaker in the session before me was a rather dogmatic sort who announced that the “debate is over”, and offered as his proof that the IPCC won a Nobel prize. Lots of boilerplate bumph. works nowadays on insurance and disaster issues, and showed a pretty picture of a Normal distribution sliding sideways, and on this basis assured everyone that we know with complete certainty that we are in for hotter weather over the next 30-50 years. An economist asked him if he would be prepared to advise that we stop building our houses for resilience to cold weather. There was an awkward silence. Short answer: Yes. My thought: OK, you first. My talk was basically my CSM op-ed, emphasizing the contradiction between long term policy commitments and learning, using as examples the CLOUD experiments, the newly-introduced argo.net system and the lack of warming in the tropical troposphere. I worked in my T3 presentation. Thereafter I’d say the working assumption was that the science isn’t terribly settled and anything we do has to be contingent on new information as it arrives. – 15: did you find it yet? The trend differentials are the trends.txt file, each row has lat/lon/diff. Let me know if you are not finding what you are looking for. – 24: Thank you. Survey data? So you’re the guy who keeps calling at dinnertime! – 26: Arnost, I checked my programs. I had downloaded the data in June 2005, then replaced it in Sept 2005 when I saw a new edition out. So I used the Sept 2005 version. I doubt it matters much. – 29: The issue is more than just UHI. In some ways, by reducing it to UHI people have omitted more general issues. In the US, urban areas only make up about 3% of the land. So people could argue that it “can’t” matter. Surface processes are more complex than just urbanization, and homogeneity issues in countries with per capita GDP of $500/year really need to be talked about. – 35: Any thoughts I have are pure amateur musings, but for what they’re worth. Glaciers are not good thermometers, solar energy and precipitation also matter; glacier retreat has been going on since the 1600s I think, at least in western Canada, and the LIA marked the greatest extent of their growth since the last ice age; I am not saying there is no evidence of warming of any kind anywhere, this is just a test of gridded surface data and its independence of the stuff it’s supposed to be independent of. – 38: I have noticed that RSS LT the last few years is declining faster than UAH. Also, for the past 15 years, RSS stratosphere shows slight warming trend (insig). Interesting. – 43: Significant no. Symbolic yes. Then next day he nixed the idea of deep emission cuts. – 44: Look at de Laat and Maurellis 2006 (citation in paper), who have a brief discussion of this. – 45: Well it’s only just out. It will take at least week or two to completely overturn the foundations of modern empirical climatology. Seriously–I have heard from some economisst right off the bat, since the econometrics is familiar. I think climate people are taking a while to digest it, which is perfectly fine. Instant assessments would just be superficial. – 46: Yes, the incentives for modelers to have to start signing off on forecasts is a nice side efect. Heh heh. I’d also like to see Tradesports open a 2010/2015 tropical troposphere market. – 55: Economists don’t think much of 5-10 year forecasts, certainly not enough to predict temperature with. Yes, if there were multiple processes that could warm the TT then we could have a false tax problem. But the IPCC AR4 Figure 9.1 shows only GHG gives the TT warming pulse, and it dominates everything else. (Whether that’s true or not I don’t know) But the current solar forecasts are for weakening solar activity through cycles 24 and 25. So even if the sun could produce a TT-centered signal, unless we see a strong increase in solar output we have no reason to believe the sun could explain a warming in the TT. – 56: yeah, it tells me you’re an idiot. – 62: historically, by sparse and inadequate methods. As of October 2007, by the argo network. See http://www.argo.net. This is a huge advance in climate measurement. – 64: exactly. And someone with a one line ARMA model might start whupping the GCMs on forecasting, as happened to macroeconomics. Which, eventually, led to a lot of theoretical reappraisal of macroeconomics. The market forced academia to correct a systematic error in theory. – 66: However, if there just “happens” to be a correlation, purely on a climatic happenstance basis, it destroys the interpretation of signal detection methodology, since you no longer have a basis to choose among rival hypotheses. – 75: Don’t forget, the thermometer has to sit somewhere near an outlet. You don’t sample the whole 5×5 grid. – 79: Accepted, proofs corrected, in the print queue. I checked with JGR if it’s OK to put it out and they said yes. – 88: I think Gifford Pinchot would have no use for today’s greens. – 89: We can show evidence of a likelihood that a causal mechanism exists, or the unlikelihood that the correlation is spurious, even without the specific equations. – 104: I’d sooner drop the money out of a helicopter than have government spending it on their pet climate projects. 117- But the Arctic is sensitive to changes in the Arctic Oscillation and oceanic changes, and the surface instrumental network in the Arctic is questionable, especially over the ocean. IPCC Fig 10.7 shows lots of variability among models about the intensity of Arctic warming, but not so much for TT warming. 120 – I don’t want to harp on this too much, but graphs 10.8 and 10.9 seem to show that winter surface temperatures in the Arctic have a significantly larger excursion than T3. Both metrics are shown to have a larger than 1.0 std. deviation prediction across the models in those graphs, so variability seems comparable (but I haven’t viewed the supplementary material yet). If the instrumental network in the Arctic is questionable, and if it is indeed the harbinger of global warming, then it seems we should concentrate on that data. I’ve never understood what the fuss is about .5-1.0 degree surface temperature variations in mid-latitudes, when the signal from the Arctic is far more significant. SS, do not forget the different types of materials used. Timber vs brick. iron roof vs concrete tiles. Then you have the solid brick fence vs the old timber picket fence. The area taken up by the dwelling has probably tripled. Plus the garage and outdoor entertainment area. It all counts. Last night here in Melbourne, OZ, it was warm, the warehouse at work is made of the cement sheet of 30 years ago, the control-room of brick. The difference when you walk past them is to be felt to be belived. Timber would be in another league again. Yup. I remember my 60 year old grandmother in 1965 verbally assaulting workers who were cutting down an old oak near the house she was born in to make way for an office building. She called herself a conservationist. She lived her whole life within a 1/4 mile of where she was born. She watched that tree grow large. Died age 95. A Republican conservationist, like TR. PRIME Minister Kevin Rudd last night did an about-face on deep cuts to greenhouse gas emissions, days after Australia’s delegation backed the plan at the climate talks in Bali. The repudiation of the delegate’s position represents the first stumble by the new Government’s in its approach to climate change. Mr Rudd said he supported a longer-term greenhouse emissions cut of 60 per cent of 2000 levels by 2050. 2050? Lovely to plan to do someting after you’re dead. So nice to be elected on policy that is changed 2 weeks later. So nice to do your homework after the election…. Anyone see anything in common between Govt and IPCC? Question: With carbon trading schemes, can we have a few suggestions to help CO2 producers, as to where they could buy credits for schemes that does NOT increase CO2 themselves? Has anyone worked out how many times the forested area of the Earth will be reforested, layer on layer, to produce enough CO2 sequestration to offset that from fossil fuels today? Seems to me that we can accept CO2 as an undesirable byproduct, try to reduce it but not trade it for figments of imagination. Comment: This Weblog, Climate Audit, throws severe uncertainty on most past temperature reconstructions. Put the blowtorch even harder on the belly and I think just about all will fail, except for recorded history. There might be more value in efforts to remediate the future than reconstruct the past. Given the correction was applied to the MSU2lt data after the date accessed which data set was really used? Is the reference incorrect? BTW can someone show a plot of the surface-minus MSU2lt trend plot which is strangely missing from the paper. One would have hoped to have seen the raw data before heading off into a statistical fitting exercise…. Ross mentioned that he’ll be away for a couple of days. I’m sure he’ll answer when he returns. David, re #125, see Ross’s answer in #119. The theory is that the tropospere will heat first. This is what the models say. If the models are all wrong, where does that leave us? By your reasoning, we shouldn’t worry if the science is all wrong. We should cherry pick our favorite indicator and use that. Well, the Arcit is ocean and subject to huge heat transfers that way, and Antarctica is not warming except for one peninsula. I’ve seen a study based on California stations. When ranking the stations based on the population in the surrounding area, they found a very definite trend. The bigger the population, the greater the warming. Stations in the most rural locations showed almost no warming. If the sensors were located in “cool parks” wouldn’t a light wind blow heat into the park from the surrounding city??? 3119 Ross: My favorite anecdote on this subject comes from Barbra Streisand’s web page. On it she once listed a dozen things her fans could do to cut their energy useage. Things like reducing outdoor lighting, turning off the heaters for their pools, hanging the laundry outside instead of using a dryer. One fan wrote in asking how many of these dozens items, the Babs was doing. Her publicist wrote back that these items were suggestions for the fans, Ms. Streisand was way to busy to implement any of them herself. There’s a cynical part of me that believes that the primary driver behind the push to cut howmuch people fly, is so that the best vacation spots will be less crowded when the beautiful people decide to visit them. Ireland has other interesting data: my favourite temperature one is Valentia, a site I would expect to faithfully track SSTs in the North Atlantic. Do they do cloud observations? Probably not. The nearest airport I can find is Shannon and that’s rather new, although it would probably do to buttress (or undermine) Palle’s Earthshine work. Why, if the land data is so difficult to clean up, has no-one had a proper look at SSTs? No UHI, no asphalt, 70% of the surface and the same instrument set used throughout. I know about the Folland and Parker business, but that’s why I like Valentia. Sites like this can be used to verify — or not — the F&P. With newly verified data we will have a much bigger set and we can be sure it is free of local bias, nicely smoothed by the thermal capacity of the ocean. It would be nice if someone cuffed a couple of postgrads and set them to. Having just added a graph with SSTs and the F&P on my website, I was struck anew by its appearance. From 1910 it falls into three phases with one big glitch. Up to ’39 it rises steadily, then there’s a jump, then a slower rise to ’76, then back to the same rise rate it had before ’39. It’s as if it were regulating itself at about .14 deg/decade (isn’t that fairly close to the new calculation?) and the disturbance caused only a temporary excursion. Incidentally, without the F&P there isn’t a cooling from ’40 to 76, just a slower, nearly zero, rate of rise. Being obsessed with the Kriegesmarine effect has the useful side effect that I always scan temperature histories to see if they’ve been adjusted. If it starts to warm before 1939, the alarm bells ring. If anyone asks me whether I believe GW is happening and if so how much, I always say yes, .14 deg/decade. I wonder if I’m right. All eyeballs probably. Oh, yes, the A bit. That’s .5 deg between 1939 and ’45. Id sooner drop the money out of a helicopter than have government spending it on their pet climate projects. LOL. I agree. I was suggesting this to limit the number of helicopters to 1, and limit how much they could throw off the helicopter. I fear if they ever start funding “widows and orphans”, or “tax breaks” with it as a tax, they (politicians) will not be willing to let go of the money if AGW turns out false, or even if mitigation works. Why, if the land data is so difficult to clean up, has no-one had a proper look at SSTs? No UHI, no asphalt, 70% of the surface and the same instrument set used throughout. That’s a great point, Julian. This is probably too simplistic but if the metropolitan areas show UHI effects can’t it be said that they have already undergone a localized version of AGW? If their temperature rise is great enough that GCM’s must use their corrected temperatures then shouldn’t the urban areas already show some of the environmental horrors we’re constantly told will affect the whole globe? For example, it the global warmers say that crabgrass will be severely damaged by global warming (actually, they would probably say, “Crabgrass growing in the lawns of women, poor, and minorities impacted most by global warming”), shouldn’t we see those effects in the lawns of the urban areas? In other words, are metro areas like greater Los Angeles, or greater London acting as localized laboratory experiments of the terrible things AGW will bring? Or, as I suspect, no effects whatsoever will be found. RE: #122 – Here in the US, “tilt up” structures, consisting of pre-stressed reinforced concrete components, fastened to a light steel inner frame (or in some cases, a hybrid frame of light steel and glue lam timber cross beams) are immensely popular for industrial, R&D / office, agriculural industry, etc. They tend to be the equivalent of 2 to 3 stories and quite expansive in foot print. Foundation wise, these all use concrete slabs. RE: #134 – In an urban park you are going to have a gradient from the perimeter in. The nature of that gradient will depend on the flux coming from the adjacent urban developments, the humidity / pressure / density of the air, the overlying atmospheric conditions (clouds, inversions, etc), the flow characteristics and directionality of the air in the area, and, the surface characteristics (both materials wise and form factor wise) of the park, and other factors. So yes, relative to nearby densepack, a park may be cool-er, but relative to say, a suburban, exurban or rural area, who can really say how any particular urban park would stack up? Yes, there is much concrete used in building industial areas in California, but how do you know the local UHI isn’t teleconnected to the AGW effect from the large quantities of CO2 emitted at the cement plants in China ? Re #136, No UHI is apparent even when the local C02 levels are not elevated. On a very busy street you might be able to measure 400 or 500ppm of C02. With vertical distance this concentration diminishes rapidly, consequently you lack a tall absorbing column. Thus, no one physics would support your hypothesis. Conversely, it is known that the radiative properties of modern building materials are quite different. A temperature measurement taken on tope of asphalt is higher than one taken over grass. Among other reasons: the grass is moist and is a part of the water cycle. Asphalt is not. Haha, the best part of that goal would be the very high price of petrol at that point. No need to do anything! You might not be so certain of that after you stand outside in the asphalt parking lot of a tavern after midnight. You’ve missed my point. All I’m saying is that urban areas are already warmer than rural areas. If extra warmth is going to be so terrible for the globae then the urban areas should be showing some of those GW effects already. It doesn’t matter if the higher temp is caused by increased CO2 or whatever. CO2 increase is just a WAG as to what causes temp to increase worldwide. UHI already has heated the urban areas up and thus some AGW effects should be noticeable there. are metro areas like greater Los Angeles, or greater London acting as localized laboratory experiments of the terrible things AGW will bring? Or, as I suspect, no effects whatsoever will be found. This is a tempting argument, but crops aren’t raised in LA, storms aren’t brewed there, etc. I don’t know that anybody would say that the UHI is in and of itself a bad thing. It surely cuts the number of cold related deaths. 1. Cities, farms, roads, railroads, parking lots. a) if the GMTADC is a reliable indication of the increase/decrease in the Earths energy levels in the first place and b) if a, then is the +.7 that we have the correct value, and not more or less and c) if b, what are the AGHG:AGHGRP:LUC ratios, and d) if ‘c’ AGHG is X%, what is the % effect of the CO2 out of that in the actual system and e) what percent of that was produced by people, and f) what effect will another percent equal to ‘e’ do we expect and g) how long would it take to get there. That word is so overbroad, it’s essentially meaningless. I’ve already explained what I mean by pollution. Those other byproducts of the processes that produce GHG and increase or decrease the albedo of the atmosphere and land and change the chemical composition of bodies of water in various ways. To be more specific, things like surface runoff, groundwater leaching, spills, wastewater, eutrophication. Carbon monoxide, sulfur dioxide, chlorofluorocarbons, and nitrogen oxides, and the ozone and smog and haze from those. One would have, would one? One wouldn’t want to sound demanding, would one? One who wants one would have one if one took two columns of data one has at one’s disposal. One could make any number of pretty pictures one wants. One notes, though, that (SURF-TROP) is not “raw” data, and I for one would find such a plot less meaningful than the regression results themselves for understanding a multivariate, not univariate, issue. Ross McKitrick, there are many classic examples of spurious correlations being interpreted as imply causation. There is very good reason to expect that global warming will project onto socio-economic patterns because wealth and education etc. are latitudinally varying as is rate of warming. Further, the affects of aerosols and the effects of reducing aerosols have a clear impact on warming/coolings rates and links to the socio-economics. The simple fact is, if the patterns make sense in terms of the physics, there is no need to go on a data troll. The reviewers have been sloppy to allow a statistical troll to be accepted without the authors demonstrating a prior that there is something unphysical to be explained. I look forward to you producing the figure for us all to see (and while you are at it, perhaps doing same for GCM projections from AR4). The simple fact is, if the patterns make sense in terms of the physics, there is no need to go on a data troll. I guess David, to put it in your terms, there are many classic examples of physics being interpreted incorrectly because of phenomena defined by unreliable data collected with insufficiently precise measurement systems. David, there are also many classic examples of commonly-held assumptions that failed when tested against data. We are explaining patterns that exist after controlling for latitudinal effects. You can’t just dismiss the results as spurious without explaining the Hausman test and other robustness checks. There is an extensive discussion of why data contaminations patterns in the underlying weather observations are expected on a priori, physical grounds. The surface processes, of course, do not lack for physical explanation; the inhomogeneities are based on issues in data quality management that are discussed in the papers we cite. Nobody disputes that these problems beset the weather data. The question is whether they are adequately filtered out for the purpose of constructing the climate data. If they are, then these correlations we have found should not exist. Are you really trying to argue that the data actually are clean, and the correlations are just happenstance? Forget about Occam’s razor, you’ve got Occam’s buzz saw coming at you. If it’s all a fluke based on natural atmospheric circulations, why aren’t the correlations predicted by GCMs? And how can anyone claim to identify a GHG signal in a signal detection regression that doesn’t control for this set of natural circulations? Also, you can see the GCM forecasts from AR4 at http://ipcc-wg1.ucar.edu/wg1/Report/suppl/Ch10/Ch10_indiv-maps.html. Look at Fig 10.7. As for the statistical analysis, I will be extremely busy between now and the end of January, so I am not even sure if I will find a chance to follow the discussion here let alone contribute to it. Ross, If I understand the figures in the cited reference, it’s the tropical MT and maybe LS, not the LT, that should show the largest relative increase(and the Arctic LT too). So far, we seem to only be seeing Arctic LT warming, and that can be explained by atmospheric and oceanic circulation changes. Sinan… good to see you again! Hi Steve … I am always trying to follow Steve M.’s postings but I have a hard time staying current with the discussions. Thank you for your comment. Hope I can contribute something in the near future. Why not use SST instead of land temp data? First of all, define sea surface. It cannot be the differentially small layer where water meets air, because that thin layer has radiation absorption properties quite different to the rest of the ocean. Besides, it mixes because of wind, wave, current, fauna, etc. How deep does heated or cooled near-surface sea extend? Conventional SST measurements started with canvas or wood buckets hauled to ship’s decks for thermometer insertion. Not many operational manuals to define sampling depth, time lag, etc. Then later, the intake temp of cooling water pipes for ships’ engines were used. Problem: Do big ships have deeper intakes than small ships? Problem: Bucket methods did not agree with intake methods, so “adjustment” was needed. Problem: Not a good correlation between SST and adjacent lighthouse land temps, so an “adjustment” was needed. Problem: Some countries had better correlation between SST and adjacent land than others (New Zealand cf. Australia is an examples from Phil Jones); so an “adjustment” was needed. So what is a typical vertical temperature profile of the sea and what does it mean? Problem: Confined seas (Ural, Dead) are hard to compare with oceans. Problem: What is the influence of nearby rivers? Problem: What is the effect of exothermic reactions in sediment compaction in river deltas? Can we define a standard ocean sampling depth? Problem: Currents preclude a standard depth because they can move material vertically. Problem: Spontaneous upwellings of considerable temperature difference and significant size happen often. Problem: For each sea increment that goes up, another goes down. Problem: How does one interpret surface sea temp under ice caps? Problem: Some say Navier-Stokes equations are needed to solve the models, but nobody seems to have mastered the full extent of the math. Can we estimate the depth to which atmospheric heating of the oceans effectively drops to zero effect? Maybe, but it’s a few hundred metres typically. Can we measure SST below this? Yes, we can, but it does not mean much in AGW arguments. 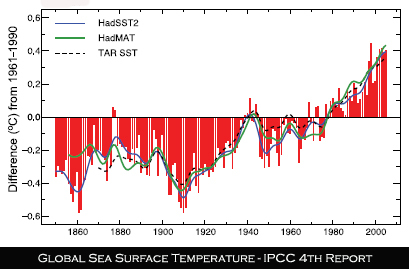 I have it in writing from Australia Bureau of Meteorology that the SST of the oceans is increasing. I wonder which “adjustments” were made to cope with the few of more problems mentioned above, before arriving at this unqualified assertion? Now do you see more clearly why I read Lord Rutherford to put my thinking apparatus back into calibration mode, for recreation and curing? Who would even set out to measure SST when it is known in advance that the above problems exist and probably have no solution? In Lord Rutherford’s methodology, first, remove the confounding parameters and then isolate the single effect you seek – if you can. If you cannot, in this modern era, then use statistics as an aid to refine the next round of experiments, but please, not as a proof. Not if your results result in serious global consequences. I’d rather do it properly and become a Lord than do it wrongly and be associated with a movie with inconvenient truths. elegant and likeable proposition to link penalties or compensation to actual measured detriment, when it is shown to happen. Simple justice decrees that the penalty has to match the actual infringement, not an imaginary or subjectively-estimated one that might or might not happen at some future date. It follows that if the community is unable to agree that temperature is measured adequately and further, that detriment has resulted, then there should be no penalty. Conversely, if benefit can be shown, there should be reward. These concepts do not offend any modern concepts of property rights that I am aware of. But artificialities like Kyoyo certainly do. Yes, but. The ocean is .7 of the surface. It can’t be ignored. Do we take account of the local surface on land? Moisture content? Porosity? Rock density, biota? The big problem with the sea is probably turnover, but that’s fairly slow and, on a large scale, it might not be too bad, as year by year it will not change a great deal. The alternative is monitoring the radiative balance from orbit with a very high resolution — I’ve not checked to see what’s happening on that front. Let me urge you again to look at the SST graphs: steady, .14 deg/decade, homeostatic when disrupted by the Kriegesmarine effect. Then look at the land reconstructions, all over the place. Which do you think looks more informative? The bucket correction thread on CA is an eye-opener. Then, to complete the audit, you have to show that a man-made change is working to the detriment of identified people in a quantitative way on which compensation or impost can be calculated. That rather knocks out satellite obs too. But the question is certainly NOT “Which do I think looks more informative?” That takes us into most unscientific kingdoms. I don’t care a fig which is the most informative. I seek only to know which is most likely to be right within certain limits. I have not completed a thorough review of the McKitrick and Michaels paper, but I do have a few comments and questions that give me some pause. Hopefully Ross can relieve some of my concerns. Along the same lines, the choice of a 1980 beginning point seems arbitrary. Wouldn’t a post WW II starting point make as much sense? My limited experience with socio-economic data is that it is very source dependent. For instance GDP data from the CIA is different from GDP data from other sources. Any concerns there? I also have some bigger picture concerns as we look more and more into surface effects, but I won’t get into that as Steve has asked us to aoid them. RE 163. Thanks Mike B. why 1980? Yes. this is a land ocean index and ross is looking at the land. A 1980 start date is not unjustified. If one has economic data for 1910 to 1940 that might be a very interesting comparision. There’s no need to get defensive. Since the difference between tropospheric and surface temperature is what you’re modelling, it makes sense to show the difference on the same scale as the residuals. David’s comments about aerosols make a lot of sense to me. Are there any controls or proxies for regional pollution in your model? I wonder if some of the socio-economic terms might be proxies for regional pollution. What are your thoughts? I’ve been thinking about the pattern jae has found where humid areas have lower surface temperatures than dry areas. My opinion is that the lower surface temperatures (due to evaporation) are probably offset by higher tropospheric temperatures (due to condensation). For future work, it may be interesting to include an absolute humidity term in your fit. Just a suggestion. So Here is what have in front of me. that UHI is real. This record of consensus starts in the 1800s. We have Parker claiming UHI is real. We have peterson claiming it is real. We have Hansen trying to adjust for it because he believes it to be real. Anyone here want to be a denialist about UHI? Question: does UHI infect the land record. ROSS: yes. Here is a correlation study that shows how UHI infects the land record. UHI is real. here is the signal. are located in cool parks. Peterson: NO UHI does not infect the land record because urban stations are located in cool parks. Problem with peterson: his stations are not stations that are used in hadcru or giss. Problem with parker: He used stations that are predominately located at airports. Problem with both: there explaination ( cool parks) is an untested hypothesis. So: on one hand you have Ross’s position. It agrees with consensus science: UHI is real. It finds UHI in the land record. Duh! The starting point of 1979 for the McKitrick/Michaels study was obviously used because on its coincidence with satellite temperature measurements. My reading of this paper — as a layman who sees the surface temperature adjustments and qualities needing a further look and judges that the further study of the discrepancies between the tropospheric measurements and surface temperatures, and equally as critical to the AGW issue, the further discrepancies between tropospheric measurements and climate modeling results — is that it provides a basis for reopening the issues of temperature measurement errors and adjustments that are evidently considered closed by the consensus. The paper will no doubt receive much (and deserves) the scrutiny that perhaps has been lacking in some of the papers that have argued for the sufficiency of the currently applied adjustments to the sea and surface temperature measurements  something like using the JEG critique of the Loehle paper to question his consistency in not doing the same with the hockey team reconstructions. 165: My apologies for sounding defensive. An evening at the pub playing smallpipes and whistle in the session band has me feeling much more cheerful. I’m not exactly modeling the SURF-TROP difference. Note that the TROP coefficients are about 0.9. Had they all been 1.0, the remaining coefficients would tell you what you’d get if you regressed SURF-TROP on the other model variables. So the coeff’s you see are pretty close to the coeff’s you’d get from a difference model. If you graph SURF-TROP you might be able to see patterns that look informative, but not as informative as doing the regression. If anyone would like to draw the SURF-TROP map, please do. I don’t have the software, I had to get help for the world map figures. I used the coal consumption as a rough proxy for regional air pollution. Pollutant concentration data for a lot of cities around the world is available, but coverage is pretty patchy. The US aerosol (PM2.5) record in the US, for instance, only starts in 1985. However, with some effort it should be possible to improve on the pollution measure. 163: Mike, yes the observation to be explained is a grid cell trend, and the interval is chosen so that both surface and satellite data are available (also, the post-1980 interval is of primary interest since it’s the recent warming interval). If there is gridded balloon data back to, say, 1960, then this kind of modeling could be extended back, since there are economic estimators for most countries starting in 1960. There is a large literature on the difficulty of deciding what the “trend” is in a time series of data. For instance, should you filter cycles, should you allow for structural breaks, etc. All good and valid questions. But I want to use a standard OLS trend concept, because if I’d found results that applied to some fancy trend estimator everyone would wonder if the results were dependent on the fancy method. Also, for better or worse (generally worse) when folks characterize the spatial pattern of changes, they are using the spatial distribution of linear trends. But if someone wants to take my data set and swap the SURF and TROP vectors for other trend estimators, or precipitation or wind or anything else, I say more power to them, I’d love to see the results. I don’t think that end points are quite as influential on trend lines as you suggest, but I haven’t seen the math written out. For global samples, there are not many sources for GDP-type data. A lot of sources trace to the Summer-Heston Penn World Tables. I believe the CIAWFB gets a lot of its basic data from there. However the Penn World Tables are infrequently updated. I certainly recognize that economic data from developing countries can be pretty dodgy. Part of the issue I am raising is that the same concern should apply to met data as well. An evening at the pub playing smallpipes and whistle in the session band has me feeling much more cheerful. Aye and would the lads have been wearing the kilt and delivering a Rabbie Burns line or two? I hope your paper raises the attention level on temperature measurements. Im not exactly modeling the SURF-TROP difference. Yes, I see that now. I did not have the paper in front of me and was going from memory. Now that I have the paper, I also see that you included the DRY variable for dry vs humid areas. Can you explain why you used a “dummy variable” (your words) instead of using absolute or relative humidity? I’m just trying to understand the parameterization. Re #168. Ross, the best source of comparative GDP data for nations and regions, at least up until 2003, is the database “World Population, GDP and Per Capita GDP, 1-2003 AD (Last update: August 2007, copyright Angus Maddison)”, which is available on Angus Maddison’s website. The advantage of using these numbers is that, unlike the World Bank and other official bodies, Maddison is free to (and does) correct official figures for known deficiencies. Of course he can’t make a silk purse out of a sow’s ear but he has many contacts both in official agencies and research institutions around the world, and his achievement as a lone scholar has been extraordinary. Referring to Maddison’s work, David Henderson has said that “the statistical output of the various international agencies, incorporating as it does, directly and indirectly, the work of thousands of professionals, has not to my mind yielded a comparably useful product of the same kind” (Ian Castles & David Henderson, “International Comparisons of GDP: Issues of theory and practice”, “World Economics”, vol. 6, no. 1, January-March 2005, p. 83). Professor Bill Nordhaus of Yale has developed a link between GDP estimates and geophysical data in the Yale G-Econ research project, which is available on Nordhaus’s website. But this project, at least at this stage, has apparently been developed only for spatial comparisons. In evidence before the US National Research Council Committee on National Statistics on 10 May 2007, Professor Nordhaus explained that, in this project, “Gross cell product (GCP) is measured at a 1-degree longitude by 1-degree latitude resolution … at a global scale… The current data set is now publicly available and covers gross cell product for all regions for 1990, which includes 27,500 terrestrial observations.” It would probably be very difficult to expand this project so as to include the ability to make comparisons over time, except perhaps for some countries with advanced geographical information systems. Now, what would be a fast, cheap way of rectifying that disparity between model and reality? nuclear power, and what not is already unity. 176, would it be fair to say that RC has become reactionary? RE 176. It’s unfair to tease them. They are driven by the action line. Winter is upon us, they have nothing to do, except react. Yes, reactionary and bourgeois, worrying about losing their hair. too strenuously to the frivolous. If you want to mess with them, start talking about hairy humans, and then bring up the name of the POTUS. Then grab some popcorn, and see what evolves. Well, if by econmic activity they mean consumption of fossil fuels and forests, economic activity has a conspicuous effect. And the economic slowdown expected by many would be a relief. Moreover, or so it seems to me, if they divorce the economy from consumption of fossil fuels and forests, they risk irrelevance on economic or ecological grounds. Economic activity obviously has no direct effect on climate. Some things related to economic activity, such as urbanization, energy use, and pollution, do have effects on climate, both local and global, but economic activity in and of itself has no effect and its just silly to state that it does. Economic activity means money changing hands (if were talking about GDP), and a few electrons, piles of paper, or sacks of gold changing hands are not going to change the climate. At best, its sloppy use of language. At worst, it makes the results meaningless by not distinguishing between agriculture and coal plants (high climate effect/GDP) and a financial district (minimal climate effect/GDP). Steve Mosher: This is a lot funnier than the hairless humans thread. Dont blame RC for sidetracking the discussion from real climate science to bogus pseudo-science. Place the blame squarely where it belongs: on McKitrick, Michaels, and Loehle. Egad, those peasants! They’re ruining our site! So those were comments, not original post. There is no way I could make that stuff up. What that really means, of course (both the post and tamino’s comment) is that people are reading CA and the McKitrick articles, and not RC. If they were comfortable on their high horse, they wouldn’t be doing this. If indeed these excerpts reflect the point that Rasmus’ was attempting to make about McKitrick and Michaels (2007) paper then he entirely misses the points the authors were trying to make. Perhaps one might speculate from the political innuendos included that Rasmus simply got derailed from his line of thought. Re #186 Does Tamino have the same rigid definition of “pseudo-science” as JEG? If so, then he’s contradicting himself, because according to the JEG criterion, Moberg et al 2005 is as pseudo-scientific as Loehle 2007. See why it’s helpful to point out team uses of “special pleading”? And speaking of “poisioning the well”, the latest offering at RC introduces the McKitrick 2007 paper by slamming the 2004 paper. They can’t resist, can they? What’s ironic? The EGHE is predicated on more than just IR absorption. Is he so bought into his dogma that he can’t grasp that some other part of his theory might have failed? This is the creepy faith-based side of RC. Larry, that’s what it really means to “move on”. Why would you bother with the science once you’ve got an agenda? The chain is different. The chain works like this. has no clue, then the call goes into RC. They respond with snake and nape.. or attempt to. 194, and if all else fails, the rabett comes to the rescue. I think we need a separation of church and AGW clause written into the IPCC Charter. i.e. It is important RC read CA. Actually, I am honestly very sympathetic to Gavin Schmidt. You can tell in his writing that he is tired. He has very little patience. Even for well-posed questions. Maybe he should follow Connolley’s lead and take a vacation? Get someone else to mind the blog while he tends to his inventions. Rasmus does a great job. Tamino too. Say, isn’t Hank Roberts ordained by now? Economic activity is rooted in the now global capitalist push for both the desire for energy and desire for profit, deadly bedfellows for the planet, and mankind lacks the collective proactive skills to do anything different than buy and burn fossil fuels until we all die. Bender, re #198, I’m told Hank still has another year left in the RC seminary, and then he will be allowed to lead the congregation. Jaye, re #199, I thought RC had morphed into the Huffington Post. Ian, excellent suggestion to consult the Angus Maddison data base. I didn’t know about it when I started putting the data base together. If I ever do another version of this paper, which is to say if hell does freeze over, I will definitely take advantage of his work. Just in case it never appears at RC, here is my reply to Rasmus’ comment. RE: #159 – even on a given ship, what is the water line at the time an intake measurement is made? Big difference (especially on a monster container carrier) between loaded and unloaded. Typically, container ships come in full and go out nearly empty in the US. The oceans are obviously not at issue here. oceans are warming. glaciers are melting. the arctic is melting. none of these is expalined by “contaminated data”, via economic growths. theories have been shot down on this site, for much smaller problems. RE: #199 – V.I. Lenin, 1905ish. The oceans haven’t shown any appreciable warming since the late 1990s, the antarctic ice is significantly above normal, the arctic ice extent is already back within 1% of normal 12 weeks before the official start of winter, and glaciers are melting as much from a combination of deforestation (tropical) and black soot deposition (NH) as any other reason. So tell me again what can’t be explained by Ross’ paper? The oceans are warming. Are they? How do we know? The data to back up this claim is even more contaminated than the land based sensors. Glaciers are melting. Some are, some aren’t, some are growing. Regardless, the glaciers started melting at the end of the LIA, and there is no evidence of a recent accleration in this melting. The arctic is melting. Is it? The warmup in the arctic region appears to be driven by the PDO. Examine the temperature record. It shows this quite clearly. #205: The oceans are not “at issue” because my paper is only concerned with land-based data. Doesn’t mean the oceans are unimportant, just that the quality (or otherwise) of sea surface data doesn’t affect the conclusions of a test of land-based data quality. 211, Ow, that’s gotta hurt. I’ll bet 10,000 quatloos it’ll never see the light of day. 213: I’ll take that bet. Also note the response from Rasmus. 205, 207, 208 AGW theory calls for the poles to melt, including Greenland and Antarctic Ice Sheets. GIS and AIS are not, unless measured over very short 3 year cherry-picked intervals. AIS area set a new record this past SEP’07, and the Antarctic, in general is still in a flat to cooling trend, long term. You’re not a trekkie, are you? I should have expected that he’d just reply with a non-answer. #39: Excuse my ignorance, but is Mann et al (1998) really using stepwise regression for proxies? If so, what type of selection procedure was used? Can you also give me a pointer to validation error results of Mann et al (1998) (with standard error metrics like ( R)MSE, MAE)? I could not locate those. Thanks! If you look very closely to Gorecrows’ left forearm at clip time :55 & :56 second (right after PiltdownMannBearPig throws water on the Wicked Witch of the Exxon) you’ll see there is residual ArmalGorecrowWarming (flame) in those 1+ seconds. Only after the jump edit, are the results of the omitted CO2 extinguisher sequence evident — no more ArmalGorecrowWarming, as it is the Wicked Witch of the Exxon who is melted. Provider 1 bids 300 quatloos for the new comers. The newcomers have been vended to Provider 1. We belong to no one. I wager 15 quatloos that he is untrainable. 20 quatloos that all three are untrainable. 5,000 quatloos that the newcomers will have to be destroyed. You now bear the mark of a fine herd. But I must warn you — any further disobedience now that you are full-fledged thralls will be punishable by death. Glaciers are melting. Some are, some arent, some are growing. Regardless, the glaciers started melting at the end of the LIA, and there is no evidence of a recent accleration in this melting. why would none of you audit this? no one among the informed people posting on this site, does not accept warming of the sea. “growing galciers2 are an exception. shouldn t someone mention this? and come on, the arctic! re 214. What’s a quatloo? . next you’ll ask what a royal fizbin is. Some day I tell you a story about the lady in the silver costume. why would none of you audit this? Have you read the threads here concerning SST measurements, and in particular concerning bucket adjustments? If you’re interested in auditing our auditing, I’d be willing to bump one up so you can find it. 221, ever hear Nimoy singing country? Sod, you should get out more. Here is another take on ocean warming aside from your alarmist literature. You have to download the file and look at the figures to see a plot. 21 recently discovered in the in situ profile data. Most, not all of the cooling was fixed by adjusting the data. Still leaves the oceans cooling. I was a trekkie in the late 60s. And you know what they say about the 60s. I dimly remember watching it on tv and being fascinated by it. But not enough to spend the rest of my live memorizing every episode. Well, Larry, it looks like you won’t have to pay me for several centuries at least. and transparent aluminum. Somebody yank his geek credentials. RE 224. Worse. I read his damn poetry, which made susan polis schultz look like wallace stevens. They only allow so much fun over there: they didn’t print your response, but you got another one from the Mann just below Ramus’. Never had em. That’s why I’m here. 230, those guys are slick. Sorta. Keep your eye on the pea. re #232 Yet more special pleading on their part. Ross McKitrick’s model is “overfit” because of presumed spatial dependencies that he did not exclude from the analysis – but spatial teleconnections are totally justifiable in proxy-based temperature reconstructions. The hypocrisy is unbelievable. If I had to guess, I would speculate that the spatial dependencies in Ross’s socioeconomic data might account for 10% of the explained variation. Whereas the spatial teleconnections in Mike’s multiproxy data more than double the “explained” variation in the “calibration”. Rasmus is either not interested in, or not capable of, a balanced assessment. The economists were the first, by the way, to characterize and solve the problems of spatial autocorrelation in geographic data. Climatologists are still playing catch-up. I’ll show you in a second another example where Rasmus in the same post breaks his own rules. The hypocrisy! The double-standard! The special pleading! The answer, of course, is that only the team is allowed to use surrogate variables, others are not. I don’t recall if that one is in the AAGW double-standards database. I’ll have a look. They are undermining their own authority with this incessant double-talk. Keep it up. But how was the map produced? Kriging? Distance-weighted averaging? Smoothing? All these methods of map-making will introduce spatial autocorrelation that was not present in the initial point-source data. So it is incorrect to assume that a visual scan tells you much about the actual autocorrelation in the data. To do that, you need a correlogram, not a map. This indicates how inexperienced Rasmus is when it comes to critiquing spatial data analysis. His criticism of Ross’s approach is a glancing blow at best. But it does deliver a hit to his own credibility as an analyst. 2002?? That melting stopped in 2003. Oh, and positive spatial autocorrelation does not necessarily overturn a conclusion, which is what Rasmus seems to be hinting at. Most often it leads to an overstating of significance statistics – an effect that is entirely corrigible. But sometimes it can lead to an *underestimation* of those significance levels! For example, if your driving variable is more naturally “contagious” than your response variable. Rasmus seems to be unaware of the latter possibility. This is not the same thing as an “overfit”. It is a case of model mis-specification. Peas & thimbles. I think it that they are “denying reality”. I heard Lonnie Thompson on NPR this weekend. I get the concern about the shrinking tropical glaciers, what I don’t get is the total failure to note that glaciers elsewhere are advancing. It is in fact not that there are not facts to support a particular hypothesis, it is the non-accounting of other facts that dooms many scientific theories and hypotheses. bender, 238: what I find most damning is the fact that they won’t let you make the kind of presentation you just made in 233, 234, 236 and 238 in other than the most cursory way. Nor will they respond to anything of substance that does leak through the filter in other than a dismissive, cursory way. There can be only one explanation for this: intellectual cowardice. But then, calling them “intellectual(s)” may be giving them more credit than they deserve. duke, If I were to post my comments there, they would likely be posted. Especially as I would try to be a little more civil in tone. The problem is that they respond tersely and dismissively, preferring to explain why a question is ill-conceived than to consider how the question could be reformulated so that it makes sense to them (and their readers). The discussion ends after the first or second “reply”. Which is more often a retort than a reasoned argument or counter-argument. That I don’t comment there any more is my choice, not their doing. Any of those guys are welcome to come reply here, where the dialogue will not be edited down, and where they can not have the last word by virtue (or vice?) of their editorial discretion. They’re not intellectual cowards. They have an agenda – defend the consensus – and they are bravely doing what they must to protect that agenda. And if that means sweeping aside arguments about statistical robustness or uncertainty – or, worse, paying lip service to those issues – so be it. Frankly, I don’t envy their task. It must be very tiring to face all the nitwits that post there pretending they understand how physical systems operate. Not to mention the good arguments to which they have no reply other than “the science is settled enough to move forward with the agenda”. That’s nice. But it doesn’t help a scientific non-climatologist under their argument any better. Citing the GCMs and AR4 is a bit opaque for me. Bottom line: They are in denial about Wegman. And if anything be their downfall, that be it. They should get him to write a long post on the statistics on inference in climate science. And let him moderate the ensuing debate. Q: Why are there no statisticians on “the team”? Bender, 8:33 pm : thank you for that thoughtful “insider” post. It’s admirable that you refuse to shed the “cloak of collegiality.” I am under no such restraints. Short response: if RealClimate has an “agenda” and are no longer willing to discuss the science in good faith, then they forfeit the mantle (cloak?) of “scientists” in the pure sense of the word. The Big Picture: if AGW as it is presented by the IPCC Consensus is grossly exaggerated, then RealClimate will be remembered as the website that concealed the truth; ClimateAudit will be remembered for asking the right questions and upholding the integrity of the scientific method. If AGW is proved to be an imminent threat, RealClimate will be celebrated as prophetic; ClimateAudit will still be remembered for asking the right questions and for propelling the science forward to that irrefutable conclusion. 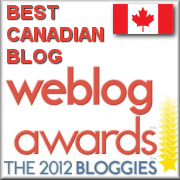 caveat: I may be overstating the importance of blogs. . . .
verification r2 vs. calibration r2 etc? #243 UC, the new edict at RC is that you must pay lip service to statistics, but you have to try hard to appear sincere about it. No more contempt allowed. Hank Roberts, for example, has shifted his tone on this topic recently. I think the last thing they want to see is an ASA Journal in Statistical Climatology. But of course they would be dead in the water if they were to admit their contempt. So they hold their noses and pray no one does it. I don’t really understand the statistics involved but I curious about the disagreement regarding ‘over-fit’. Is this a point where two people who understand the stats could reasonably agree to disagree or is this point were RC is making a clearly rediculous claim? #245 (Raven): Overfitting is something everyone agrees exists, but the disagreement is when and where it happens 😉 The point here is the unbelievable hypocrisy as well-explained by bender in #233: overfitting is far more likely to happen in mike’s reconstruction than in Ross’s model. Moreover, Ross checked for it (see his response over RC) unlike mike. The reason I wrote my comment in the first place is that addition to bristlecone pines, incorrect PCA and variance matching, those two issues raised by Rasmus are IMO the main defects of MBH98 reconstruction. One more general comment I have wanted say for a long time to all you who have problems following these “stats issues”: as bender correctly notes in #233, econometrians (not really the “true” statisticians) are the ones leading the research here. These type of things are really under “time series analysis”, and if you pick any modern advanced book about the topic, chances are pretty high it written by econometrians. So, when you see people like Ross, Hu etc. speaking about these issues, listen carefully. When econometrians are debating over time series issues with climatologists like rasmus, gavin and mike, that’s not even a fair game. Oh, I almost forgot. My second question in #217 was a trick: verification ( R)MSE of MBH98 could be calculated from published information (using verification REs and the “sparse instrumental NH series”). So if Rasmus had understood the thing, I was expecting an answer along the lines “You stupid idiot, see the verification REs in the supplementary information here”. Instead, he deleted the comment. Or maybe mike did as there is no way MBH98 can be viewed as stepwise regression (notice that proxies are “predictive variables” there). This entire debate is driving me nuts. When I started looking at the science behind GW I expected to find a few cranks grinding axes among the skeptics. However, the more I look the more I realize how sloppy the science behind AWG is. I can’t believe that these people actually expect the world to spend trillions based on results that are, at best, inconclusive. 1) I assume the samples in he arctic/antarctic ended up with the largest bias because the GDP/square was near zero. However, these samples seem to contradict the claim that there is bias toward developed areas. How should these samples be interpreted? 2) They try to use satellite data to dismiss the UHI effect here: http://gristmill.grist.org/story/2006/10/26/224634/48 However, I don’t understand how they can use a satellite to measure surface temperatures and if they are measuring troposphere temperatures why do they think it provides meaningful insight in how the UHI would bias the surface data? We chose the optimal group of Neofs eigenvectors, from among a larger set (for example, the first 16) of the highest-rank eigenvectors, as the group of eigenvectors which maximized the calibration explained variance. Who wants to bet, do these objective selection rules have something to do with verification REs or not? Overfit stems from different sources and leads to a spuriously high % of variance explained. It can come from simply a poorly specified model where the independent variables have little or no a priori theoretical links to the dependent variable but an empirical relationship appears to exist (e.g., the classic consumption of rum in Boston and the number of clerics) and from essentially pre-screening which specific metric that represents a variable that does have a theoretical link to the dependent variable. Rasmus essentially charges Ross with the former, while Ross and Steve (and Wegman) have demonstrated that Mann et al did the latter by statistically cherry picking there proxies. Jean S. or Bender please correct me if I misstated the issue. 1. Shouldn’t the oceans be included in the model, with all socio-economic forcing terms set to zero? 2. Since most (all?) of the socio-economic terms are national in scope, shouldn’t the temperature trends also be averaged over national boundaries? 3. I don’t understand the statistical tests for spurious correlation very well, but I can’t shake the feeling that similar correlations could be found with any large set of input variables. For example, could similar results be obtained by replacing the socio-economic terms with major languages and religions in each country (as % of total population)? I’m reminded of the von Neumann quote that has been used to describe the climate models: “With four parameters I can fit an elephant, and with five I can make him wiggle his trunk.”. Somebody show me why I’m wrong about this. Please do not answer in terms of MBH98. I know there are problems with proxy temperature reconstructions, but that’s not the current topic. Im reminded of the von Neumann quote that has been used to describe the climate models: With four parameters I can fit an elephant, and with five I can make him wiggle his trunk.. Somebody show me why Im wrong about this. Wow! That’s quite a quote from a believer in the results obtained from Global Climate Models! How many parameters do they use? 10? 20? 30? #251 looks ok to me. #252 has got it right too; overfitting is the wiggling of the elephant’s trunk. Raven, for any statistical pattern-matching type of correlative model, where you are comparing two spatial series (Ross’s paper) or two time series (the multiproxy papers) you run a risk of (1) falsely inferring causality when there is none. Or, more pernicious, (2) of assuming that the magnitude of the estimated causality is unbiased. For systems where the dynamics are very well understood – such as in engineering applications – spuriousness of correlation is not a huge problem. In natural studies where the nature of the system is the object of study, you run a much higher risk of making either of these errors. “Overfit” is not something you can knowably measure until the true nature of the system is known. It is something that is intuited based on inside information, or insight. Since different people have different levels and kinds of insight, it is not surprising that different groups will come to different guesses as to whether a given model is an overfit. You try to protect yourself from the effects of overfitting by using robust statistics. That means, for example, not overstating your “degrees of freedom” for making inferences – something climatologists are prone to doing. It is maybe worth mentioning that this is not a major problem in experimental science, where randomization of treatments can be used to destroy spatial and temporal autocorrelations, so that any response patterns that emerge to match the pattern of treatment are almost assuredly unbiased treatment effects. In the natural sciences, you don’t have this luxury. And in the Earth sciences you have a further problem with the inability to replicate experimental units. One planet, one replicate. One set of time observations, one realization of a stochastic process. Prediction: The world is about to learn what ‘ergodicity’ means. -Criminal human behavior is non-ergodic. Then which of the two processes most resembles Earth’s climate system? -The one that is refined, well-regulated, homeostatic, equilibrated? -The one that is wild, unpredictable, ever-changing, prone to deviance? #248: We excluded the Antarctic. Also, the Arctic coverage in our data set is not that extensive. Our model is concerned with more than just UHI effects, and the problems in the polar regions are not really emblematic of problems in inhabited regions. The measurement problems in the Arctic remain pretty serious, look at how thin the current coverage is at GISS. I haven’t read the Grist article, but from your comment, I concur that lower troposphere temperature data is not the place to measure surface UHI effects. #252: John V., Measurement problems over the ocean are not the same as those over land. If you want to include the ocean surfaces you have to provide explanatory variables for each grid cell that might measure potential inhomogeneities, and the problem would be assigning them to countries. These days if you went with the country of ship registration (for engine intake water), I guess Liberia would rule the the waves. A better approach to measuring inhomogeneities is to use buoy data that measures water temperature and air temperature at the same place. See Christy, Parker, Brown et al. (GRL January 2001) “Differential Trends in Tropical Sea Surface and Atmospheric Temperatures since 1979”, a very interesting treatment of the issue. That’s a valid point about averaging temperature trends to national levels. Though not all the data are in national groups, so it would entail losing some information. I will have to think about it. Appealing to the reductio-ad-vonNeumannElephantWisecrack won’t do. Look at the change in results when we replace SURF with TROP in section 4.6. Look at the contrast between growing and declining economies. If this matrix of socioeconomic data spanned a space that always fit the temperature data by pure coincidence, we wouldn’t see these changes in t-stats. There is explanatory power here. Climate is semi-predicatable, ever-changing but with certain patterns, and constantly deviating. Average temperature in Los Angeles during August? Inches of rainfall in Seattle in March? Inches of snow in Central Park in January? Global mean anomaly trend over 100 years? North American anomaly trend over 30 years? What’s the time period and location. And what aspect are we looking at? On overfitting: Think of it this way. If you have 450 observations, and you use 450 nonsense variables, then you get a perfect, but meaningless fit. As you drop the number of variables in the model, your fit worsens, but with enough variables you might still be getting a good “fit” from nonsense data. But once the number of degrees of freedom (N-k, or #observations less the number of variables) rises to a meaningful number, such as 30, you will find you either have explanatory power or not. (30 matters because with that many degrees of freedom the t stat converges closely to a N(0,1) distribution). Explanatory power can be shown by examining whether the number of degrees of freedom is high enough for plausibility, individual coefficients are significant, and whether the model itself gets support from the data. At that point, a vague accusation of “overfitting” is just an excuse to ignore the results, but it has no statistical substance. We have over 426 degrees of freedom, the parameters are significant and they remain reasonably stable across the 6 specifications in Table 2. This is not a case of overfitting. Whats the time period and location. And what aspect are we looking at? All space, all time – that’s what the GCMs purport to simulate. On that note, recall Wunsch’s proposition that the oceans, which contain most of Earth’s surface heat, vary at all scales. Recall the Hurst coefficients of models vs. reality. Not even close. Reality is far wilder than the GCM approach admits. Note the “divergence problem” – a universal feature emerging along all fronts of climate science. I’m not sure what he means. Hyping, promoting, lecture touring, interviews, op-eding,– it’s all a no-no? Or only when he disagrees with the conclusions? I think there is palpable unease over there that they are losing control of the debate. This is not a case of overfitting. Agreed. Would be interesting for readers to know if this aspect was addressed at all during the review process. I expect it was maybe brought up at some point, and resolved (through discussion or rebttal) to the Editor’s satisfaction? That is his hope, anyways. But notice the logical structure of the argument. Refuting proposition A discredits the proponent of A and therefore anything else – propositions B, C, etc – that proponent A argues. Never mind the hypocrisy that only alarmists are allowed to make press releases when they publish. Or more precisely, that alarmists should have have more room to speculate on the potential meaning of their publications in press releases. After all, it’s only ‘precautionary’ that the terms of the debate be made asymmetric. Appealing to the reductio-ad-vonNeumann Elephant Wisecrack wont do. As I have said, I don’t understand the statistics well enough and I am looking for help to understand them. It’s a steep learning curve. I should have skipped the von Neumann quote but it succinctly described my doubts. I will look at section 4.6 again. Doesn’t that require that the temperature trends are independent? Are there statistical tests available for testing the independence of the grid cell trends? hen which of the two processes most resembles Earths climate system? #263: The reporting of the variance inflation factors was in response to a referee concern about multicollinearity. #262: Had I not written the op-ed I know what the reaction to my paper would have been. “It can’t be right, the IPCC report already considered the issue and ruled it out.” I wanted to show people that the IPCC didn’t consider the issue properly at all. As for the inverse relation between seriousness-of-attention and author spin, I can think of a few warmers who didn’t get that memo. And had I published the paper without fanfare in a minor journal, something tells me the team would not give it greater attention as a result. In any case, I would think the seriousness of attention varies positively with the ramifications of the findings. It’s their data, not mine. Why would they be so insouciant about the possibility that they are publishing research based on contaminated data? John V., yes you can test for spatial AC, but you have to estimate the off-diagonal parameters and their variances. Ah, then, bender, you’re not asking about the actual climate, but rather modeling? Theyre not intellectual cowards. They have an agenda – defend the consensus – and they are bravely doing what they must to protect that agenda. And if that means sweeping aside arguments about statistical robustness or uncertainty – or, worse, paying lip service to those issues – so be it. Frankly, I dont envy their task. It must be very tiring to face all the nitwits that post there pretending they understand how physical systems operate. Not to mention the good arguments to which they have no reply other than the science is settled enough to move forward with the agenda. Thats nice. But it doesnt help a scientific non-climatologist under their argument any better. Citing the GCMs and AR4 is a bit opaque for me. The RC discussion of the McKitrick and Michaels (2007) paper, I think can be summarized rather succinctly from the above observations. Bender, I think you have defined the essence of RC and why I do not visit there except on those infrequent occasions when I judge that I can read and learn from a climate science explanation that has risen above the extant protection mode of dissertation there. I quite frankly am surprised that posters at CA spend so much time in quoting and reporting the goings on at RC. Although Steve M is sometimes accused of the obsession with MBH (the original driver of RC and CA), I think he often uses it as example of a double standard in looking at climate science papers and as a general problem that climate science has not apparently overcome to date. He has obviously shown a general interest by analyzing a wide variety of climate science subjects in his introduced threads. What is generally written at RC in covering introductions, in my view anyway, is well articulated and covers the general subject matter accurately, but tends most often to breakdown when the devil is in the details and the analysis would normally turn to the uncertainties and presentations of alternate views and conclusions about the A in AGW. Herein lie the serious weakness of RC that I think derives from the administrators feeling evidently that the political policy intent of the blog must be always dominant over what would ordinarily be more of a give and take conversation amongst scientists and laypeople interested in the science. I have attempted in vain to determine why a consensus view such as AGW needs the kind of protection that RC apparently affords it. They seem to react as though that even minor problems and uncertainties with any of the papers and evidences supporting big A in AGW might shrivel whatever political and public support currently exist for it. I see it as an over-dependence on a claim of a scientific consensus for maintaining and gaining policy support, which in turn presents a rather closed minded approach to reporting the science that most scientists looking at the matter, as scientists and not policy advocates, would have to see as something lacking in the curiosity element that comes naturally to the scientifically inclined. That RC seems to confine their policy battles to the skeptic and those merely expressing doubts about the certainties is, I think, symptomatic of the scientists propensity to feel less at ease in addressing the masses directly (even though it is they and not the small minority of skeptics and certainty doubters that must be convinced/cajoled/threatened to make the right decisions in this matter) and thus the inclination to take on the more approachable skeptics and doubters. Because Gavin would never spin a scientific story without caveats, would he? Actually, to be fair to him, although Gavin used the word “unprecedented”, he did add a caveat, to make it “almost unprecedented”. Someone will have to explain to me the difference between “almost unprecedented” and “not unprecedented”, it strikes me these are “remarkably similar” statements (to use another climatology meme). That’s the problem with double standards. It’s so easy to cross-check using the magic of the interweb. Almost unprecedented means that it happens rarely. Not unprecedented means it’s happened before at least once. Unprecedented means it’s never happened. Let me see if I understand what he’s saying in that article. The models show the planet is absorbing .85 watts more energy per meter squared than it emits into space. Normally this absorbtion/emission is almost in equilibrium until the normal state is going to change from near equilibrium. This recent rate of change in this imbalance is abnormally fast, and has almost never happened in the recent past, the last 1000 or more years. This is basically what we have now. Scientists who are pro-AGW seem to get more grant money than those who are not. To me your proposed method would tend toward more corruption of the data in order to keep the money flowing. If we’ve only just now been able to measure this, how would they know whether it ever happened before? How do we know that’s not the norm? This is like saying, “The dog was asleep 5 minutes ago, and now he’s awake, something’s seriously wrong” without taking into account a more significant portion of the dog’s life. I was just paraphrasing the article Spence_UK linked too. What I parsed out of it for the second sentence is bizarre. What does it mean? Is he really using all those words in the article to say it’s usually one way until it becomes another, different way? The papers use of MSU satellite temperature measurements hits too close for RC comfort, I think, to the problem of those measurements also showing a major discrepancy with climate models in the measured and predicted relationship of surface to tropospheric warming in the equatorial regions of the globe. In that controversy, discovery of errors in the satellite measurements makes that problem go away. In my laypersons view, however, I do not see that the general conclusions from the modeling of spatial differences to temperature will be affected much by the choice of the temperature data set used. The issue of spatial autocorrelation of temperatures is one that I ponder as a layperson as it concerns the degree of its influence in (a) relating local climate changes to regional and global average changes and what that implies for the effects of aglobal trend for the local resident, (b) how much of the large differences that I have noted on near distanced temperature measuring stations are the result of measurement errors or are real differences (Steve M has alluded to this question a number of times) and (c) at what point will climate models have sufficient resolution to weigh in with modeled differences of nearby local temperatures. Finally I would be curious what people who questioned your methodologies in this thread took away from your replies and explanations. John Vs comments concerning over fitting of a model based simply on the number of independent variables used and your response comes to mind. This post is for John V in regards to the work of econometricians in time-series analysis, a topic raised in #119 (McK), #241, and #246 (Jean S). It is a comment from unthreaded #5 and deserves to be threaded, and this is the place for it. Leonard A. Smith is an econometrician who has written some very interesting articles on statistical climatology. Very readable.